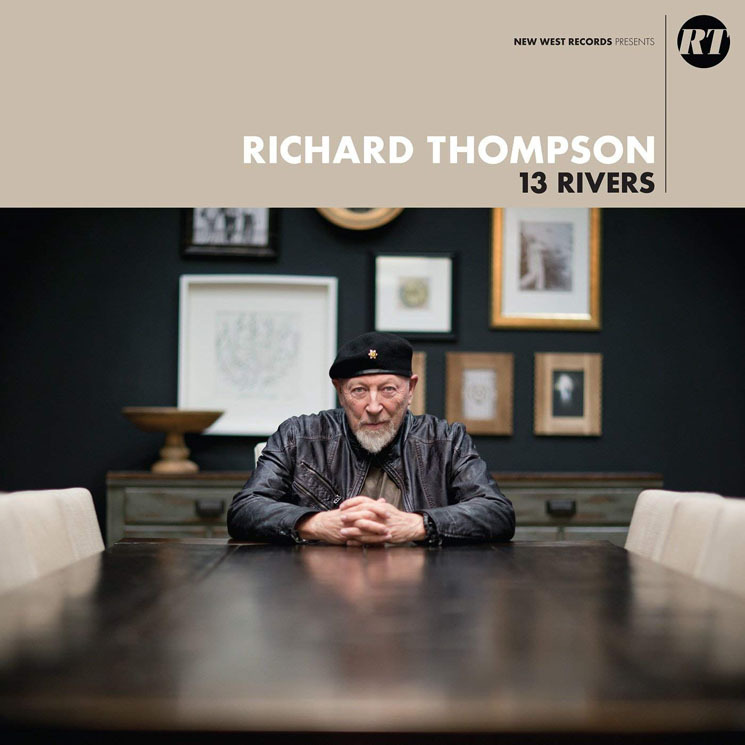 It's all been rather heartening, this renaissance for Richard Thompson, the highly decorated and acclaimed British singer, guitarist and songwriter. His creative tear of recent years has yielded another stunning rock record, 13 Rivers, which lies somewhere between emotive, hard-edged ballad compositions and snarling, salivating post-punk. Featured on "best guitarist" lists complied by all the big corporate, baby boomer magazines since emerging with the Fairport Convention in the late '60s, and then going solo (and making brilliant records with his ex-wife Linda), Thompson is the rare beast who deserves all the credit he gets. He has turned the instrument into an extension of himself; he knows exactly how it works and its many moods intimately. With great guitar playing power comes great guitar playing responsibility and throughout 13 Rivers, Thompson exhibits tasteful economy. Despite his ability to throw down with anyone, here he plays it minimal, repeating simple, alluring figures and progressions and only firing his guns off if the song at hand begins standing a little too proudly. Because the percussion and drumming by Michael Jerome is somehow taut but loose, this album is thunderous but replete with rich, infectious grooves. On "The Storm Won't Come" and "The Dog In You," it's as though Thompson and his band are blowing holes through the murk of Bob Dylan's Time Out of Mind, clarifying the expression of sentiment, while maintaining the mystery and might of Dylan's 1997 classic (which Dylan also accomplished on 2001's "Love and Theft," another sonic counterpart to 13 Rivers). At the same time such songs, not to mention "Her Love Was Meant for Me" and "Trying," totally recall underground noise-rockers like the Jesus Lizard and Shellac; it seems that Thompson might be situated on a similar, AC/DC-inspired plain where bluesy riff rock is delivered with caustic, brooding sophistication. On top of all this, there's Thompson's powerful voice and way with lyrical imagery. If your wife walks by while 13 Rivers is playing, around her third turn into the room, she might say, "Is this the new Nick Cave?" and you could say, "No, but I can see where you're coming from." Like Cave, Thompson's phrasing and delivery contains a narrative on its own and its inherent suspense makes you want to know what happens next.